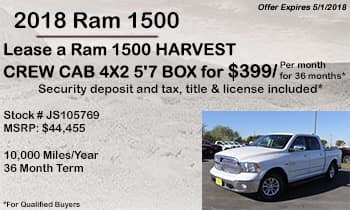 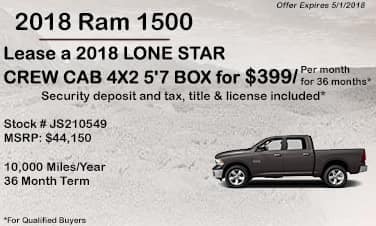 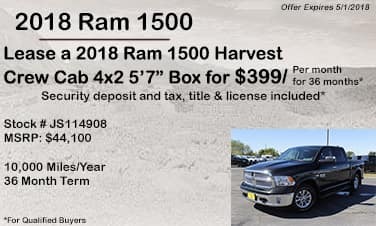 Right now until the end of 5/1/2018 you can lease over 30 brand new 2018 Ram 1500 Lone Star and Harvest editions for the low price of $399/month. 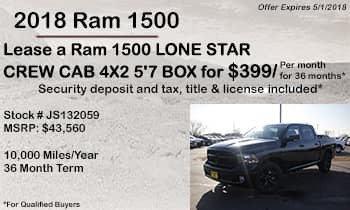 This lease includes 36 months at 10,000 miles per year. This offer is available to well qualified buyers. 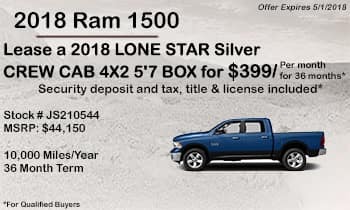 Sign and drive! 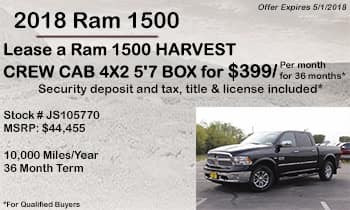 Tax title and license included for well qualified buyers. 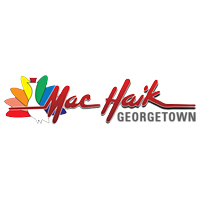 Mac Haik Dodge Chrysler Jeep Ram Georgetown, serving the greater Austin area, is proud to offer competitive pricing on all 2018 Ram Trucks. 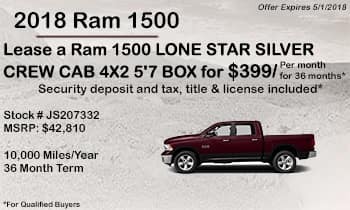 Mac Haik Georgetown has the largest selection of 2018 Ram 1500 Pickups in Texas. 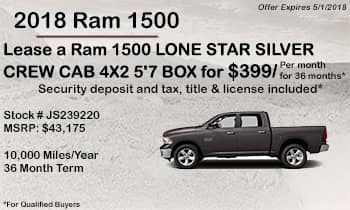 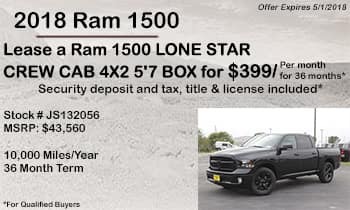 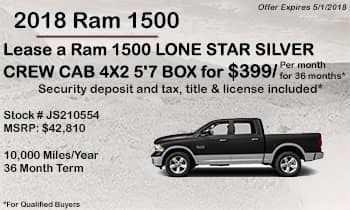 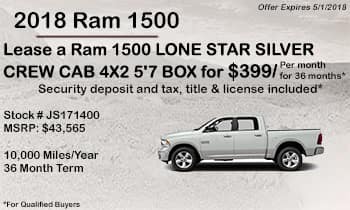 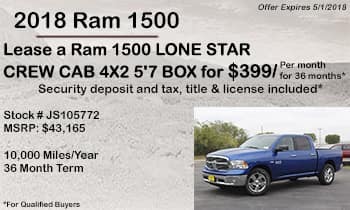 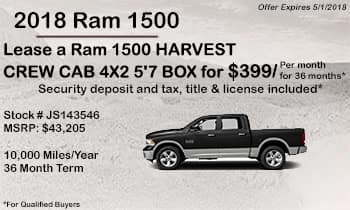 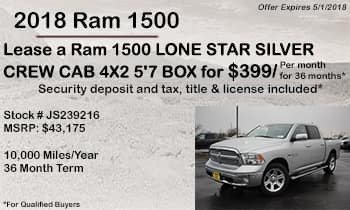 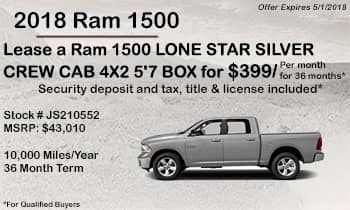 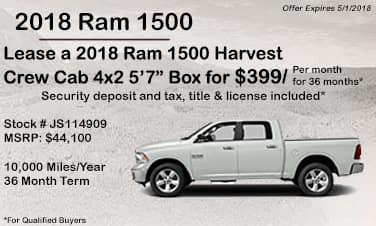 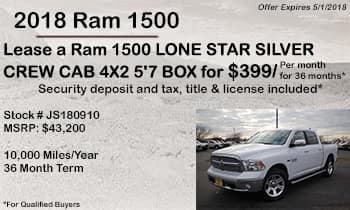 Call 512-309-7371 or visit our showroom in Georgetown, just down the road from Austin on I35 North for more information about our 2018 Ram 1500 lease specials.